I love pasta. And eat it fairly regularly. And I don’t only look to eat it in a better-for-me preparation (or I wouldn’t have ordered the ravioli filled with goose and foie gras at Buca — my favourite restaurant in Toronto — on Friday night). I just don’t have it in this rich of a way all the time. Sometimes I have it with a meat sauce, spinach and sausage, or with artichokes and walnuts. 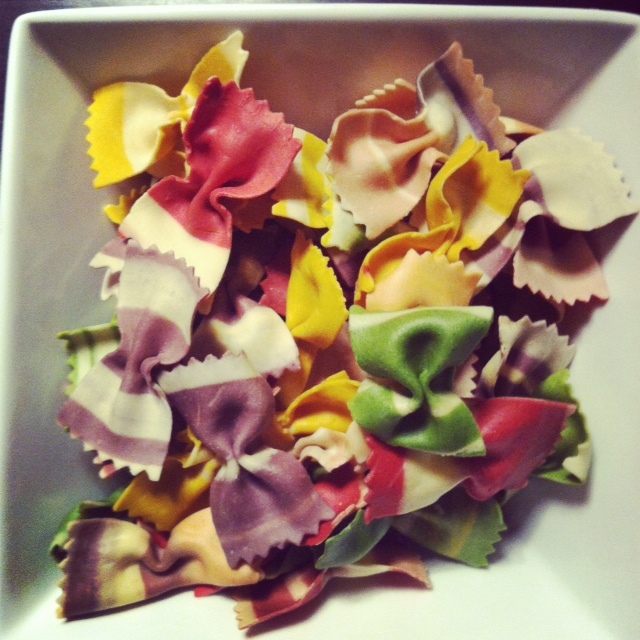 If you’ve been shunning pasta, did you know it can be part of a healthy diet? And if you’re looking for small ways for your pasta to be healthier — at least when it comes to its GI factor — check out my latest article over at iVillage.ca.